1. 세안 후 토너로 피부결을 정리한 다음 벨벳 마스크를 얼굴 형태에 맞게 펴 밀착시킵니다. 2. 마스크의 영양 성분이 피부에 충분히 흡수될 수 있도록 20~30분 동안 마스크를 적용하여 방치한 후 마스크를 떼어 내고 잔여 에센스를 가볍게 두드려 흡수시켜 줍니다. Firms, tightens and defines facial contours to skin which is inelastic and wrinkled due to the progress of aging. It reduces the appearance of lines and wrinkles caused by daily stress. 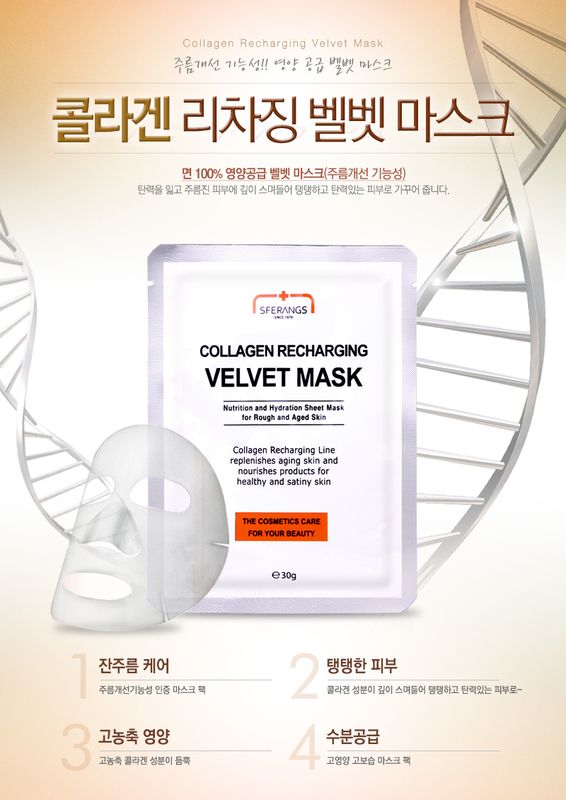 DIRECTIONS : Apply the mask sheet on your face and pat the mask using your finger tips to allow excessive mask serum to be absorbed on the face. Remove the mask after approximately 20~30 minutes. No need rinsing.